Adorable! Lovely composition and such an apt title to go with it. Ha! Made me smile. I love these “write your own caption” types of photos. 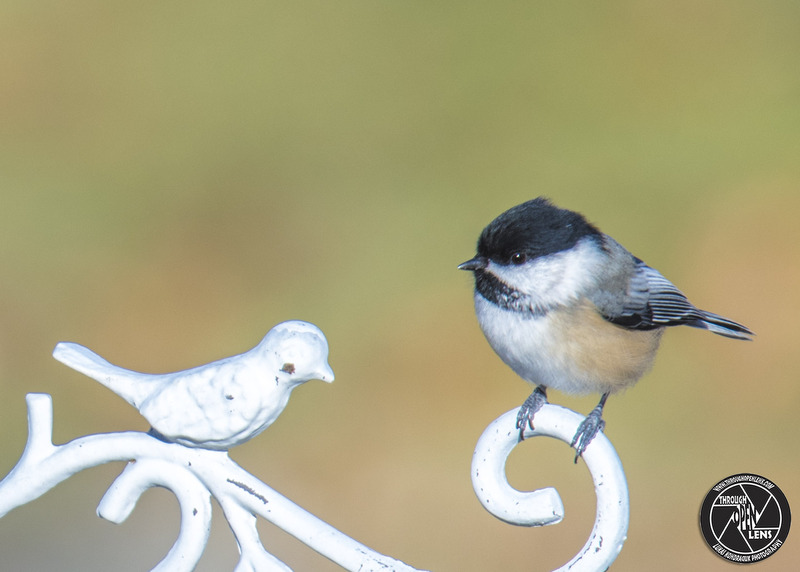 I love how that chickadee is studying the other bird … all you needed was “the head tilt” … there is nothing like the head tilt by animals and birds, like you can see the gears clicking away as they ponder something. The caption is great!